Colette Haydon, I love you! Ok, maybe I’m overreacting a bit, but it’s SO rare to come across the founder of a skincare brand who actually knows something about skin. Colette and I share the same skincare philosophy. Like me, she believes that chemical vs synthetic is a bunch of nonsense, less is more and a good formula can be applied all over (face, eyes, neck, you name it). See what I mean? 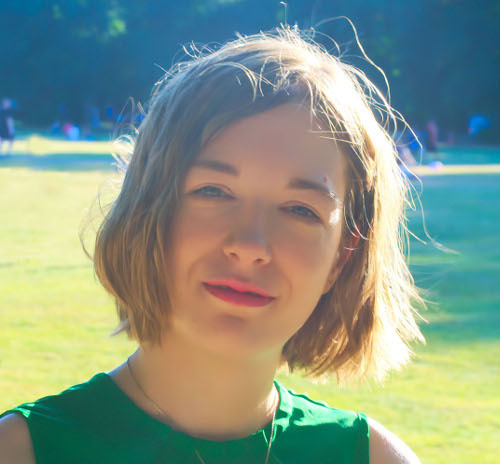 Instead of coming up with more and more stupid skincare products no one needs, she keeps it simple and focuses on a few formulas that really work. How refreshing is that? Her baby is LixirSkin. The brand is famous for its “Night Switch” range, which focuses on giving you one powerful active at a time. This way, you can give your skin everything it needs without overwhelming it. The first product I tried (bought with my own money, FYI), is LixirSkin Night Switch Retinol 1%. Does it live up to the hype? Retinol is a powerful weapon. And like all powerful weapons, it has a double-edged sword: high concentrations of retinol – and 1% retinol is HUGE, trust me – can easily irritate skin, turn it red and make it flake. If you have oily skin, you may even experience a purge. Anything that speeds up cellular turnover can make your skin worse before it makes it better. Does it mean LixirSkin Night Switch Retinol 1% isn’t safe to use? Of course not! If, like mine, your skin is already used to high doses of retinol, you can use this without side effects. But if you’re just at the beginning of your retinol journey, don’t rush it. Start with a smaller dose and work your way up to this (I’ve explained how to do it step-by-step here). Your skin will thank you. P.S. Retinol is the real deal, but it’s not a miracle worker. Even with high concentrations, it can take up to 6 weeks to see results. Be patient! Phospholipids belong in the lipid family. They’re a group of fats and waxes that naturally occur in your skin. You’ll know when your skin lacks phospholipids. If you’ve living somewhere freezing cold or you’ve been using harsh skincare products that strip them off your skin, your face becomes a dry and irritated mess. That’s why it’s important to make sure your skin always has plenty phosholipids. LixirSkin Night Switch Retinol 1% contains more than its fair share. They’re second place on the list after water! I like that LixirSkin Night Switch Retinol 1% keep things simple. Instead than filling their serums with a bunch of extracts and fillers just because they can, LixirSkin just put in the essentials. That’s smart. 1% retinol is already harsh enough, so you don’t want anything else that could irritate skin (like fragrance or citrus oils). The texture looks and feels like a liquidy oil, if that makes sense. It’s sticky for a minute and then sinks into the skin nicely. I use it alone, but LixirSkin says you can mix it with a moisturizer. Like I mentioned above, it takes time to see results with retinol. At first, I’ve just noticed how soft and smooth the phospholids made my skin. That was a relief. 1% retinol can easily make skin flake but this didn’t. The phospholipids counteracted the potential dryness and made retinol easier to tolerate for your skin. It took a few more wrinkles before I could see an effect on my fine lines. But they do seem to get that little bit smaller and my skin a little firmer. Plus, my whole skin glows. The secret is to keep at it. Good skincare doesn’t work overnight. It can be frustrating to wait weeks to see only a tiny improvement, but it’ll be worth it in the end. P.S. The bottle is small. Only 15ml. But I don’t mind that. 1% retinol isn’t meant to be used daily. If you use it every other night like I do, it’ll still last you a long time. LixirSkin Night Switch Retinol 1% has a light, fast-absorbing texture that delivers a high dose of retinol without irritations. It makes skin softer and brighter and, in the long term, helps treat wrinkles. 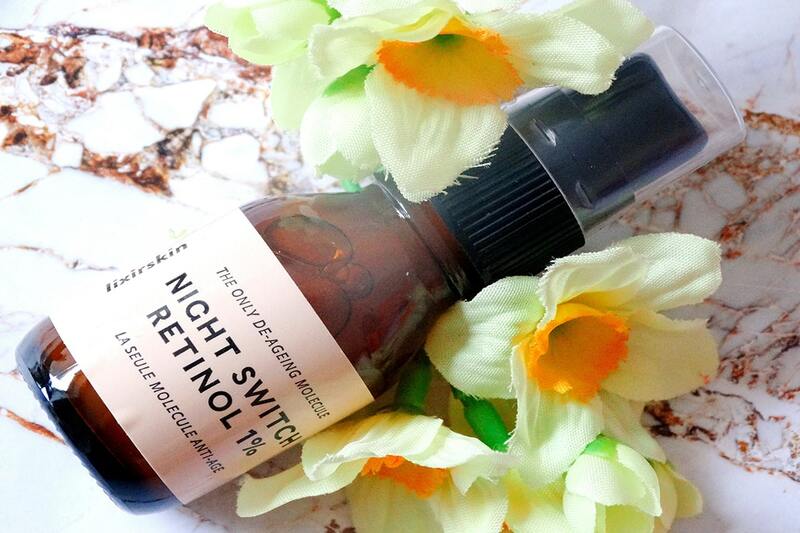 Have you tried LixirSkin Night Switch Retinol 1%? Share your thoughts in the comments below. Ingredients: Aqua (Water), Phospholipids, Leuconostoc/Radish Root Ferment Filtrate, Retinol, Phenoxyethanol, Benzoic Acid, Glyceryl Laurate, EDTA, Dehydroacetic Acid, Ethylhexylglycerin.